It's official: The iPhone is coming to Verizon. When, you ask? January 2011! This is really exciting, as the release date of the phone itself is just a few months away. 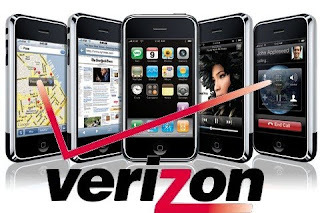 According to bloomberg.com (original link below), who has been in touch with two Verizon and Apple Executive (chosed not to be named) behind the scenes, the new phone will be released at the same time as Verizon's new 4g LTE network, or January 2011. This is the first time the idea has been made fact, rather than rumor, which is really great! I am definitely going to buy this phone when it is released, and I am just as excited as you are! What are your thoughts? Leave comments, and check out the video below! Also, subscribe to my youtube channel, link below. Thanks for visiting!